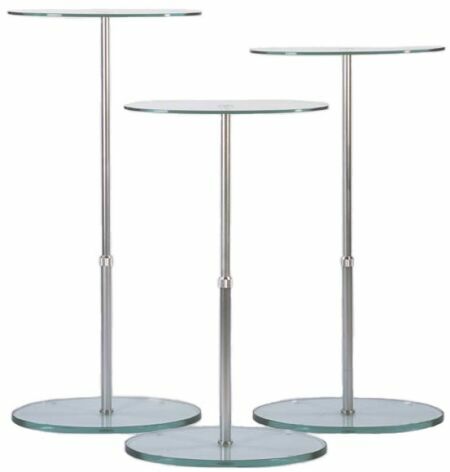 Attractive oval 12" X 19" dia glass top pedestal. Adjustable in height from 32" to 48" tall. Group pedestals together at different heights for dramatic product presentation, pedestals sold individually. Designed for displaying handbags, shoes, jewelry, fashion accessories.